Many women envy the models whom they see on television and in the catalogs. These ladies have luscious locks that cascade down their backs, and their strands always seem smooth and full of moisture. Such hair styles are not only available for those with fame, however. Part of the problem is that you might not know what your hair type is. Learning how to get healthy hair involves understanding the specific needs of your strands. For example, let’s say that you have oily hair, but you’ve been using products made for dry hair on your tresses. You’re simply making them oily. You probably have a sense of what hair type you have, but if you can’t figure it out, speak with a stylist. Tools used to style your hair have improved over the years, and they are not necessarily as damaging as they once were, at least if you purchase the right ones. However, that doesn’t mean you should use them all of the time. Stop fighting the natural look of your locks. Instead of waking up early each day to battle your strands with a hot styling product, use gels, mousses and other products to play up your natural texture. Whether you’ve started to notice grey hairs or you simply love to experiment with different shades on your strands, keep in mind that too much colouring can actually dry your hair out. When you have dry hair, it is also going to look lifeless. You can work with your stylist to pick gentle methods for dying your hair. Also, consider staying closer to your natural colour. By doing so, your roots may not seem as obvious, leaving you more time in between dying sessions. While deep conditioning your hair every day is generally not necessary, you do want to take the time to eliminate the toxins from your strands. 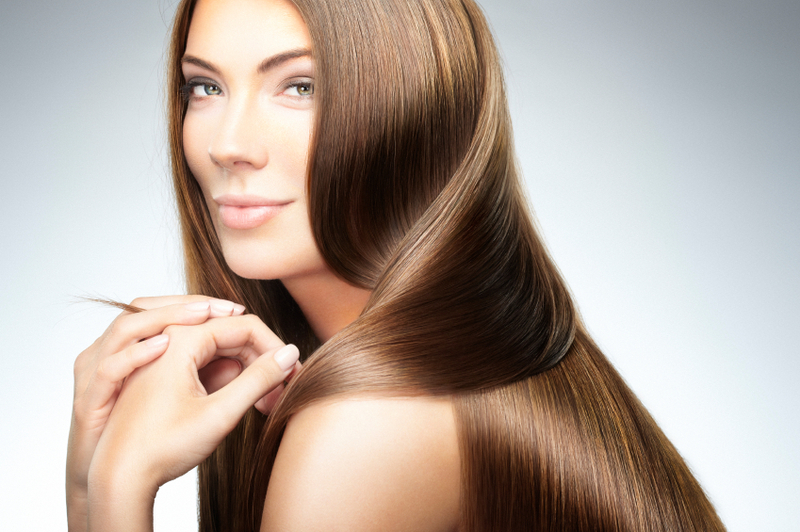 A deep conditioning treatment helps you to purify your hair and to get rid of the build-up. The build-up can come from the products that you use. As you see how much you have in your hair, you may actually want to consider using fewer products on a daily basis. Giving up all of your hair products is probably a suggestion that makes you flinch. While you don’t need to throw away all of your favourite bottles, you can still take the time to let your hair dry in the beautiful breeze once in awhile and check out some products that have fewer chemicals in them. Making your hair healthy is a major part of feeling better about your appearance overall, and doing so can provide you with a happy and healthy glow that everyone around you begins to notice. Follow us on Pinterest and Instagram.